We’d love your help. Let us know what’s wrong with this preview of A Jane Austen Daydream by Scott D. Southard. Jane Austen spends her days writing and matchmaking in the small countryside village of Steventon, until a ball at Godmersham Park propels her into a new world where she yearns for a romance of her own. But whether her heart will settle on a young lawyer, a clever Reverend, a wealthy childhood friend, All her heroines find love in the end—but is there love waiting for Jane? To ask other readers questions about A Jane Austen Daydream, please sign up. Well, this book took hold of me and I listened to it during every moment of the day, right up until my head hit the pillow. Seriously, this book is so goooood!!! Told in three volumes, Scott D.Southard unfolds the story of Jane Austen and her pursuit of love. Some of her suitors, such as Irishman Tom Lefroy, whose relationship with the author was shone upon in the film "Becoming Jane" and wealthy childhood friend, Harris Biggs Wither who is recognized as handing the author her only serious marriage proposal are given their due. Southard also sees fit to have Jane Austen come face to face with her own "Mr Collins" and also gives Jane , a strange encounter with an American writer, in fact, it is none other than Scott D.Southard!! 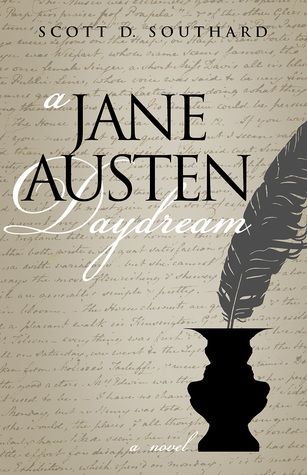 Now I have read my share of reimaginings, sequels, inspirations, and fanfictions of Jane Austen and her books, but "A Jane Austen Daydream " is by far the "cream of the crop." I laughed and cried and was just so pleased that someone could bring Jane Austen and her world back to life in the pages. While I have read an enjoyable biography of Jane Austen, I would never consider myself an expert on her life. However, it is my understanding that Jane was not one to have many love affairs. While hastily engaged (and disengaged) in 1802, she never married. Given the romantic content of her work, many have marveled at her ability to delve into the fictional hearts of female characters that have fallen in love. Some have speculated that she did indeed find love in her lifetime, possibly with a ma While I have read an enjoyable biography of Jane Austen, I would never consider myself an expert on her life. However, it is my understanding that Jane was not one to have many love affairs. While hastily engaged (and disengaged) in 1802, she never married. Given the romantic content of her work, many have marveled at her ability to delve into the fictional hearts of female characters that have fallen in love. Some have speculated that she did indeed find love in her lifetime, possibly with a man she associated with for a short time in Bath, or maybe in her flirtation with Thomas Lefroy, a relative of a friend. Much like the book and film Becoming Jane, Scott Southard’s speculative novel A Jane Austen Daydream takes the idea of an enamored Jane Austen and draws out an interesting perspective, based both on documented events and fictional ones. Southard follows the highlights of Jane’s life, such as her days in Steventon, Bath and Chawton, as well as other locales. Yet other aspects of the story are pure fabrication, such as her interactions with men and fictional letters she wrote to her sister Cassandra. While Southard molds Jane’s life events somewhat, he does so in a way that conveys his love for Austen. From this we have an interesting narrative, one that includes many winks to Austen’s works. Individuals from Jane’s life are frequently spouting off quotes that can be found in her novels. Moreover, we are given a view of Jane’s processes as a writer, how she was inspired to create, and how this desire would leak out into her everyday living. As a creative writer, Southard’s Jane is found fabricating a lie to suit her desires, as well as conjuring up in her mind elaborate speculations on incidents that she had not been party to. We also see Jane’s growth as a woman. At the start of the novel, I found some of Jane’s frivolous choices and insecurities not to be consistent with how I see the true author. However, as the story progresses, certain life events occur which mold her into a more mature woman. These events seem to be sprinkled symbolically throughout her work as well. It’s clear that her ultimate daydream is to have a fulfilling love relationship with a man who seems out of reach. When this possibility seems denied to her, she allows the many characters of her novels to live out the love life she herself yearns to experience. I really wanted to like this story. It's clever, well-written, and well-constructed. The central idea is to present an altered "biography" of Jane Austen, which is intriguing. Various people in her life, both real and imagined for this book, influence the characters she eventually writes into her stories. For example, Mrs. deBourgh is opinionated and talkative, but in a more benign kind of way than Lady Catherine. Mrs. Austen has definite similarities to Mrs. Bennet without being identical. Othe I really wanted to like this story. It's clever, well-written, and well-constructed. The central idea is to present an altered "biography" of Jane Austen, which is intriguing. Various people in her life, both real and imagined for this book, influence the characters she eventually writes into her stories. For example, Mrs. deBourgh is opinionated and talkative, but in a more benign kind of way than Lady Catherine. Mrs. Austen has definite similarities to Mrs. Bennet without being identical. Other examples abound throughout the book. More significant are the various romances Jane has. In her first, Tom LeFroy is less John Willoughby than Jane is Marianne Dashwood, except even more naive, foolhardy and carried away by sensibility. The story lost me for a while. I was too aggravated with Jane to be able to enjoy this section. Later, Jane's father, Rev. Austen, plans to retire. His replacement Mr. Blackwell arrives, full of inflated ego and an absurd 50-step plan to purify the congregation he is to take over. Shades of Mr. Collins! Mrs. Austen desires a match between him and Jane despite knowing he would never allow a wife to be a writer, which is Jane's passion. Obviously, this potential match doesn't end well. The Austen family moves to Bath. Jane encounters a wealthy childhood friend, Mr. Bigg-Withers. He's presented as a cross between John Thorpe and Sir Walter Elliot. He and Jane agree to a marriage of convenience. Their engagement lasts longer than the one day of the real life engagement between Jane Austen and Mr. Bigg-Wither, but here it's called off during a much more dramatic scene at a society Christmas house party. Another strange plot choice explains the book title: the author inserts himself as the love of Jane Austen's life. He's usually referred to as "an American," and he's a writer in Bath with a traveling theater group headed by his brother. It's a brave, whimsical choice, especially when he's shot by Jane's younger brother Charles. I'm not at all comfortable with the way the Austen siblings are depicted, or with the way Jane's relationship with them is depicted. She hides quite a lot from Cassandra despite the close bond they are famously known to have shared. When the entire family is in agreement opposing her dearest wish, she accepts their decision without even attempting to explain why they're all wrong. I was furious with them all, and even more furious with her for not fighting harder. A Jane Austen Daydream by Scott Southard is by far the best Jane Austen "fan fiction" I've ever read or listened to. Reminiscent of the movie Becoming Jane starring Anne Hathaway from several years ago, this book is a loose biographical portrait of a pre-fame Jane Austen. Unlike that movie, Jane's "romance" with a young Irishman is only the first of several suitors and Tom Lafoy never regards Jane as anything more than a friend. Two other potential suitors for Jane - an arrogant pastor and a wea A Jane Austen Daydream by Scott Southard is by far the best Jane Austen "fan fiction" I've ever read or listened to. Reminiscent of the movie Becoming Jane starring Anne Hathaway from several years ago, this book is a loose biographical portrait of a pre-fame Jane Austen. Unlike that movie, Jane's "romance" with a young Irishman is only the first of several suitors and Tom Lafoy never regards Jane as anything more than a friend. Two other potential suitors for Jane - an arrogant pastor and a wealthy childhood friend - ask her to marry to them, neither of whom Jane holds much affection. Then one day while walking in Bath, Jane meets an American writer who is traveling in England with his brother's theater troupe. The conversation between them is immediately very comfortable, natural and spontaneous. It's as if they are kindred spirits. The author warns at the start of the novel that “This book is a work of fiction, only marginally influenced by the facts.” Southard imagines the author as living her work. The rich tones in “A Jane Austen Daydream” and playful meddling call to mind the madcap character, Emma. Jane’s witty rejoinders remind the reader of Elizabeth Bennett of “Pride and Prejudice.” Jane also experiences an anxiety of anticipation reminiscent of Lizzie before her Darcy came along. Jane loves love and she wants love The author warns at the start of the novel that “This book is a work of fiction, only marginally influenced by the facts.” Southard imagines the author as living her work. The rich tones in “A Jane Austen Daydream” and playful meddling call to mind the madcap character, Emma. Jane’s witty rejoinders remind the reader of Elizabeth Bennett of “Pride and Prejudice.” Jane also experiences an anxiety of anticipation reminiscent of Lizzie before her Darcy came along. Jane loves love and she wants love. While not much is known of the thoughts and motivations of the real Jane Austen, what Southard surmises from her work is a very credible representation of what she might have been and he has written her story in a style flawlessly similar to the great author. Southard doesn’t rely on the great works to develop his characters instead putting in the legwork himself by showing us the characters in action and through the eyes of their community. There is a commonality in the family that flows in a logical fashion. Jane and Cassandra are who they are because Mrs. Austen is who she is. Mr. Austen is stern, as would be appropriate for clergy of the time, but he is caring and kind-hearted and generally wants the best for his children even when they’re not looking out for the best for themselves. Mrs. Austen lauds Cassandra for how caring she is but she, herself, mothers the community and knows the goings on in the homes of everyone she comes across because they let her in and want her there. I know a lot of readers out there will scoff seeing that the author is male that he could convey the finer emotions but I can’t help but imagine that Southard’s representation of what her life might have been life would make even Jane Austen proud. One of my favorite scenes in the novel comes early when a fortune teller marvels that Austen’s lifeline never ends. “It means...that you will never die” (Kindle location 353). This tongue in cheek nod from Southard to his reader shows an acceptance of a great truth. A writers work lives on. Austen herself may have died in 1817 but her work has always been in print and with fans like Southard preserving her memory, she always will be. So you want my review of A JANE AUSTEN DAYDREAM by Scott Southard? Can we cut to the chase? Five stars. A JANE AUSTEN DAYDREAM by Scott Southard, a fictionalized account of Jane's life, is a book that should be placed on the shelf of every book-loving fan of Jane Austen because she's absolutely "alive" on the pages of this book. She walks, talks, dreams. Her family (especially her older sister, Cassandra) moves about influencing Jane and the events around her. You'll find a hauntingly accurate re So you want my review of A JANE AUSTEN DAYDREAM by Scott Southard? Can we cut to the chase? Five stars. A JANE AUSTEN DAYDREAM by Scott Southard, a fictionalized account of Jane's life, is a book that should be placed on the shelf of every book-loving fan of Jane Austen because she's absolutely "alive" on the pages of this book. She walks, talks, dreams. Her family (especially her older sister, Cassandra) moves about influencing Jane and the events around her. You'll find a hauntingly accurate reading from a gypsy who predicts Jane will never die. (Through her words, I believe she is immortal.) And with Jane, you'll explore love and explore deeper the age-old question: Did Jane ever find love in her own life? If you consider yourself an Austenite, my gosh. Pick-up a copy of this book. Do it now. Go get it. Read it, enjoy it like I did. If you don't know much about Jane and her family, or you find her books a bit challenging to read due to the conventions of speech and writing used at the time she wrote her books, read this one. Read A JANE AUSTEN DAYDREAM by Scott Southard because while the voice and style of the writing is all Jane, Scott has told a tale in today's language for today's reader while still delivering the flavors of Jane to her most dedicated followers. I enjoyed this book as both a writer and a reader. I enjoyed the voice and the style of the writing that was at the same time, both historical and contemporary. I enjoyed the delicate balance between fact and fiction, but most of all, I enjoyed spending time with Jane. Jane Austen, the immortal, brilliant writer. "A Jane Austen Daydream" by Scott D. Southard is a very uplifting and enjoyable reading experience for me. I was not brought up with Austen's books. Only when I came to live in an English speaking country did I start to become familiar with Jane and her marvellous work. My knowledge of her novels and her life is very fragmented and admittedly more hearsay than subject of proper research. I was pleasantly surprised and relieved to learn that this book does not require excessive knowledge of the fa "A Jane Austen Daydream" by Scott D. Southard is a very uplifting and enjoyable reading experience for me. I was not brought up with Austen's books. Only when I came to live in an English speaking country did I start to become familiar with Jane and her marvellous work. My knowledge of her novels and her life is very fragmented and admittedly more hearsay than subject of proper research. I was pleasantly surprised and relieved to learn that this book does not require excessive knowledge of the facts. The book is written very much in the style of Austen and is populated by the kind of characters that would feature (and one or two at least actually do feature) in her novels. Light hearted and yet witty this is a great illustration of what her life might have been like, or possibly was like exactly. For me it was the perfect way to find out more how to imagine her social background and to learn what kind of life she might have led herself - all with the wonderful flair of her writing. I find the idea of a biography of sorts written in the own style of the object of the book incredibly clever and Southard carries it off incredibly well. While this has not been my favourite austenesque book, I have to compliment Scott D. Southard on a very well written work. It was entertaining to see the incorporation of characters and events from Jane's works in this fictional account of her life. The end is more uplifting than what we are used to in her biographies. My drawback has nothing to do with the story, nor the writing. I think I have a hard time enjoying a work of fiction about a person who was real. A fictional biography of Jane Austen. Using Jane Austen as the main character the author brings in characters, and situations that may have provided inspiration for her novels. It is fun to think about what may have inspired the wonderful writer that is Jane Austen. The author of this book has a great imagination, and some things you could actually see really happening. Others not such much, but still fun to imagine. Through her writing we can glean that Jane studied people, and had a pretty g A fictional biography of Jane Austen. Using Jane Austen as the main character the author brings in characters, and situations that may have provided inspiration for her novels. First, the confession. I am a Jane Austen freak. I've read all the novels. I've watched all the movies. I've devoured biographies, letter collections, and academic discussions. I own Franklin Mint sculptures of Elinor Dashwood and Elizabeth Bennet. I even have a mug emblazoned with "It is a truth universally acknowledged..." So, I always get a little...discomposed...when a contemporary writer pens a sequel to one of Austen's novels, re-populates her greatest work with zombies, or turns dear Jane First, the confession. I am a Jane Austen freak. I've read all the novels. I've watched all the movies. I've devoured biographies, letter collections, and academic discussions. I own Franklin Mint sculptures of Elinor Dashwood and Elizabeth Bennet. I even have a mug emblazoned with "It is a truth universally acknowledged..." So, I always get a little...discomposed...when a contemporary writer pens a sequel to one of Austen's novels, re-populates her greatest work with zombies, or turns dear Jane herself into an amateur sleuth slogging through the back alleys of London. From the very first pages of A JANE AUSTEN DAYDREAM, author Scott D. Southard lets readers know that his work is a fantasy. His fantasy. In this way, he frees Austen fans to rein in the instinct to criticize and simply enjoy the illusion he weaves. And it's a beautiful illusion. Knitting together choice pieces from Austen's novels with events from her own life, Southard gives her a starring role in her very own love story. Though there are a few places where his portrayals of key players and episodes in Austen's life diverge far enough from historically accepted reality that I gasped, these liberties were taken with with skill and with style. The few anachronisms I noticed--in language rather than material detail--weren't enough to take me out of the story. There was, however, a little too much author intrusion for my taste. Jane routinely intruded on her own characters, but Southard's visits, usually at the start of each of the three volumes that make up the book, lasted too long and got a little too abstract and philosophical. The ideas and insights were interesting, but they distracted me from an adventure that I was excited to get on with. Jane Austen. We all know she led a sad, short life…Right? Mr. Southard brilliantly reimagines the life of our beloved Jane, weaving in facts, names, dates (all without ceremony!—sorry, couldn’t resist.) He even tucks in quite a few quotes/book references, as to keep us on our toes. Firstly, the quality of his writing is top-notch. I was never taken out of the narrative by any errors or typos. From the opening sentence to the last word, I was captivated. Secondly, his style strongly reminds me of M Jane Austen. We all know she led a sad, short life…Right? Mr. Southard brilliantly reimagines the life of our beloved Jane, weaving in facts, names, dates (all without ceremony!—sorry, couldn’t resist.) He even tucks in quite a few quotes/book references, as to keep us on our toes. Secondly, his style strongly reminds me of Miss Austen’s, and there is no higher praise than that. There are a few moments where he waxes poetic on life and love, but it fits perfectly and doesn’t distract or make you feel preached-at. Thirdly, Mr. Southard is an expert at writing in such a fashion as to induce feelings of hate, love, joy, sadness, and righteous fury. I wept, I laughed (out loud, scaring my cats, no doubt), I talked back at the characters making foolish decisions, I railed (in my mind) against those standing in the way of Jane’s happiness…In short, this author is a king at character development and mood setting. If you love Jane Austen and her writings, you really should give this book a go. It’s a real page-turner. P.S. Do not think this is like the movie “Becoming Jane.” Yes, the infamous Thomas Lefroy traipses into the story, and—thankfully—out again. Mixing fact with fiction and guesswork, this book just might become a classic. How many of you have considered our dear Jane Austen and whether or not she ever enjoyed a true romance? Well, author Scott Southard has done something about that. Proving the Regency romance is not the exclusive domain of female authors, Scott Southard shows us the men know a thing or two about crafting a scintillating romance. Aptly titled, this entertaining tale is a true daydream or reverie and the author graces his pages with not one but THREE romances for Miss Austen to consider. The author How many of you have considered our dear Jane Austen and whether or not she ever enjoyed a true romance? Well, author Scott Southard has done something about that. Proving the Regency romance is not the exclusive domain of female authors, Scott Southard shows us the men know a thing or two about crafting a scintillating romance. The author brilliantly mashes up an authentic Jane Austen, many of her real family members, intermingles many of her own famous literary characters and tops it off with a generous helping of her most famous lines. We are treated to a Jane, who is bright, spirited, and enjoys poking her family, friends and acquaintences with her penetrating, yet lovable wit. Poor Jane, however, for all of her intelligence and insight into the follies and foibles of human nature, is still quite clueless regarding her deeper longing for a suitable man to love and for her love to be returned. While I prefer an ideal story in this genre' to be 300-325 pages, I found this one rather drawn out and lengthy. However, to properly tell the whole story an author has to do what he has to do. Full of sentiment, humor, suspense, sadness and ultimately joy, this one is indeed unique and worthy of your attention. It must not have been easy for a vivacious, imaginative young woman with talent and an independent spirit to fit the mold of how women in the class of the gentry in nineteenth century England were supposed to behave. Writing plays and novels, having a sharp mind and quick tongue, walking the countryside alone or playing pranks did not exactly endear the fictional (and perhaps the real) Jane Austen to her family and her neighbors. Loved by a gentle but conservative father and her nearly perfect s It must not have been easy for a vivacious, imaginative young woman with talent and an independent spirit to fit the mold of how women in the class of the gentry in nineteenth century England were supposed to behave. Writing plays and novels, having a sharp mind and quick tongue, walking the countryside alone or playing pranks did not exactly endear the fictional (and perhaps the real) Jane Austen to her family and her neighbors. Loved by a gentle but conservative father and her nearly perfect sister, largely ignored by her gossipy mother, scolded by her stern older brother, and, most importantly, deprived of a man she loved, Jane nevertheless made her way. Obstacles such as these broke her heart occasionally but never her spirit. A JANE AUSTEN DAYDREAM is an entertaining and insightful book. I particularly liked the way the author created the atmosphere, the cultural background, and the voices of Jane Austen's society so perfectly. I sometimes forgot I was reading about a fictional Jane Austen rather than a book the real Jane Austen could have written. The characters are vivid and believable. There were times I felt like slapping them, and other times I could have hugged them. A delightful read, and not just for Jane Austen fans! This novel, full of anecdotes, does not come across as a transparent retelling, but rather an emotional journey that fits in perfectly with the known facts of Jane Austen’s life. The inclusion of a completely fictional character, an American at that, ensures a uniqueness and the smart, humorous prose resonates the authors’ own beloved style. Jane’s experiences and thoughts are cleverly laced with phrases fans will recognize from her books, while character traits are obviously drawn from family a This novel, full of anecdotes, does not come across as a transparent retelling, but rather an emotional journey that fits in perfectly with the known facts of Jane Austen’s life. The inclusion of a completely fictional character, an American at that, ensures a uniqueness and the smart, humorous prose resonates the authors’ own beloved style. Jane’s experiences and thoughts are cleverly laced with phrases fans will recognize from her books, while character traits are obviously drawn from family and acquaintances unfortunate enough to make an impression on the young writer. I highly recommend this book to anyone who enjoys reading Jane Austen and admires her wit. It is a delightful reading, a biography written “in a Style entirely new”, wittily intertwining the facts (from letters and biographies) with fun and fiction. I found myself for the first time applauding at a book - with standing ovations for Mrs. Catherine de Bourgh. Make haste and add "A Jane Austen Daydream" to your shelves. “Mrs. De Bourgh looked relieved. Oh, I am happy you understand, I was afraid yo I highly recommend this book to anyone who enjoys reading Jane Austen and admires her wit. It is a delightful reading, a biography written “in a Style entirely new”, wittily intertwining the facts (from letters and biographies) with fun and fiction. I found myself for the first time applauding at a book - with standing ovations for Mrs. Catherine de Bourgh. Make haste and add "A Jane Austen Daydream" to your shelves. Delicious. Beautiful. Those are the two words that kept coming to mind while I was reading this book. This fictionalized account of Jane Austen's life made me laugh out loud, pause to think, and shed tears. Many of Jane Austen's characters can be found throughout the book. In the beginning, Jane herself is some mix of Lydia Bennett, Emma, and the only thing she has in common with Elizabeth Bennett is her wit. She is silly and selfish. Through the period of time conveyed in this book, she evolves Delicious. Beautiful. Those are the two words that kept coming to mind while I was reading this book. This fictionalized account of Jane Austen's life made me laugh out loud, pause to think, and shed tears. Many of Jane Austen's characters can be found throughout the book. In the beginning, Jane herself is some mix of Lydia Bennett, Emma, and the only thing she has in common with Elizabeth Bennett is her wit. She is silly and selfish. Through the period of time conveyed in this book, she evolves into one of her own classic heroines. How lovely to read a book about Jane Austen, written in Jane,s style. Meeting up with characters & guessing which book they were from; coming across well known phrases; made me smile. And it has a good plot. Poor Jane & her would be lovers & her plotting, intrusive family. But it had an ending I would like for Jane & wish it were so. Jane might not be here physically anymore, but she is with us in her books & this one brought her back to me. It is a truth universally acknowledged that Jane Austen did not write enough books. Only six. Six! And those six are so well loved that a whole industry has risen up to supply the unending demand for more things Jane. I’ve read my fair share, with mixed feelings in some cases, A Jane Austen Daydream by Scott D. Southard was a pleasure to read from start to finish. The key word here is ‘daydream’. This novel is a fictional – almost speculative – biography of Jane Austen in her twenties. While Sout It is a truth universally acknowledged that Jane Austen did not write enough books. Only six. Six! And those six are so well loved that a whole industry has risen up to supply the unending demand for more things Jane. I’ve read my fair share, with mixed feelings in some cases, A Jane Austen Daydream by Scott D. Southard was a pleasure to read from start to finish. I am always on the lookout for a good Jane Austen biography as I have always been very fond of her many novels. Ever since reading "Pride & Prejudice" and "Emma" when I was young, I was fascinated with this woman and what a romantic life she must have led. However, if you have ever read anything about Jane Austen you know that she was never married. She was engaged once briefly but never married. I find this fact to be intriguing to say the least, since her novels were very centered on love I am always on the lookout for a good Jane Austen biography as I have always been very fond of her many novels. Ever since reading "Pride & Prejudice" and "Emma" when I was young, I was fascinated with this woman and what a romantic life she must have led. However, if you have ever read anything about Jane Austen you know that she was never married. She was engaged once briefly but never married. I find this fact to be intriguing to say the least, since her novels were very centered on love and romance. The author brilliantly re-imagines the life of our beloved Jane Austen, weaving in facts, names, dates partly just fiction but some real based on the facts we know of Miss Austen's short life. He even tucks in quite a few quotes/book references, as to keep us on our toes. Some will say that knowing the ending as we know that Jane's life came to spoils this story, but on the contrary. This story takes us on a new adventure from the viewpoint of a very gifted writer. The author kept me on my toes anticipating each sadness and trial Miss Austen faced. I was excited for the chance to get to know Jane's family, including her crazy brother Henry (who was the family outcast) and Cassandra, Jane's older sister who seems to be Jane's best friend, confidant and equal in many respects. The story starts with Jane and Cassandra being invited to attend a ball in order for the two to find husbands. Sound familiar to anyone? This is one of the first scenes of Pride and Prejudice as most may recall. The girls are invited to their older brothers home for this ball and their sister in law is the host which Jane makes clear she could do without. The humor and scenes that follow are very reminiscent of Miss Austen's writings. I just loved the carefree tone of this story and how close I felt to the character of Jane. In A Jane Austen Daydream, Scott D. Southard says from the start, “This book is a work of fiction, only marginally influenced by the facts.” From there, he takes readers on a journey with Jane Austen from her home in Steventon to her brother’s home at Godmersham Park and even to Bath and Chawton, from her early 20s through the publication of Sense and Sensibility. Readers familiar with the known details of Austen’s life will notice that he plays with the timeline of her life, making her brother In A Jane Austen Daydream, Scott D. Southard says from the start, “This book is a work of fiction, only marginally influenced by the facts.” From there, he takes readers on a journey with Jane Austen from her home in Steventon to her brother’s home at Godmersham Park and even to Bath and Chawton, from her early 20s through the publication of Sense and Sensibility. Readers familiar with the known details of Austen’s life will notice that he plays with the timeline of her life, making her brother Charles younger than he should be, for instance, but his portrayal of Austen’s wit and sharp tongue provides much humor and makes it easy to just go with the flow. Austen never married, but since she wrote much about love and had a keen understanding of romantic relationships and human nature, it’s not surprising that people want to believe she had a great love story of her own. Generally the novels that create such a love story focus on one romance, but Southard imagines several relationships for Jane, including a youthful flirtation full of misunderstanding with Tom LeFroy and an attraction with a mysterious American with whom she crosses paths in Bath. Southard also references Austen’s novels, and readers can imagine Jane tucking the things people say into her memory for later use in a novel and picture her at her writing desk remembering the ridiculous people she met over the years and turning them into Lady Catherine de Bourgh or Mr. Collins. Southard also imagines the events that would inspire the two insulting proposals Elizabeth Bennet receives in Pride and Prejudice, and it was fun to find these things within the story. A Jane Austen Daydream shows how a palm-reading by a gypsy put Jane on the lookout for love and how each of the men she meets along the way changed her views about love and marriage, her writing and her future. Southard also focuses on Jane’s close relationship with her sister, Cassandra, how deeply Cassandra was affected by her fiancé’s death, and the burden women placed on their families by remaining unmarried. Jane’s strained relationships with her parents, her brothers, and even their wives also play a role in the story, making it more exciting and dramatic, whether true or not. A Jane Austen Daydream is a roller-coaster emotional ride through the love life of Jane Austen set against the background of her day to day ups and downs with her family and her struggles within the confines of British society. I should note that I read Scott Southard’s blog and have had communication with him where he has answered questions I have about writing and publishing. He’s a very friendly guy and I recommend reading his blog where he offers advice to the aspiring writer and talks about A Jane Austen Daydream is a roller-coaster emotional ride through the love life of Jane Austen set against the background of her day to day ups and downs with her family and her struggles within the confines of British society. I should note that I read Scott Southard’s blog and have had communication with him where he has answered questions I have about writing and publishing. He’s a very friendly guy and I recommend reading his blog where he offers advice to the aspiring writer and talks about his own life as a writer. That said, despite my desire to at least give A Jane Austen Daydream a try, I kept putting it off because I have been staying within the realm of science fiction, fantasy and horror for some time. I couldn’t see myself visiting a place outside of my comfort zone and liking what I found, but one night, after being mired in a book that I felt was going nowhere, I opened a sample of A Jane Austen Daydream on my kindle and read. And read. And read. As I mentioned several times on Twitter, Scott’s novel ate into my precious sleep time. I kept reading, hoping that Jane would find what she was looking for. What hooked me though, and what I think would hook any reader, no matter their genre preference, is the witty, fun and genuine dialogue. After a few chapters I found myself invested in the fates of the characters, particularly Jane and Cassandra, her sister. Scott’s Jane is the kind of woman most men would love to meet some day. She is strong, witty, kind and intelligent. I found myself living her dreams and hoping her hopes. I wanted her to find someone. Throughout the novel Jane grows in character. At first she is rash, but over the years her personal struggles and the experiences she has with her family mature her. What remains constant throughout though are her charm, wit, and grace. She is one of the more enjoyable characters I have read in literature in some time. The only criticism I have is that several chapters in I saw the pattern of the novel play out in my head. I could see how Scott structured the novel, and that moment of realization broke the dream state briefly. It’s a minor criticism because the story itself is wonderful, the characters endearing. Jane Austen wasn't widely known in her own time but her reputation skyrocketed in the 20th century. Like Jane, I also believe in intense feelings of love and looking for love (maybe in the wrong places) but falling in love is a wonderful feeling. Jane Austen's novels bridged the gap between romance and realism. In A JANE AUSTEN DAYDREAM -we are introduced to a love story as well as to fortune-tellers. I also like fortune-tellers, and have had a couple opportunities in my lifetime to listen to a Jane Austen wasn't widely known in her own time but her reputation skyrocketed in the 20th century. Like Jane, I also believe in intense feelings of love and looking for love (maybe in the wrong places) but falling in love is a wonderful feeling. Jane Austen's novels bridged the gap between romance and realism. In A JANE AUSTEN DAYDREAM -we are introduced to a love story as well as to fortune-tellers. I also like fortune-tellers, and have had a couple opportunities in my lifetime to listen to a couple who told me of my future. I truthfully don't know how they did it, and I didn't believe what they were saying at the time, but they both told me things that did actually happen in my future. Now that I have said that - Another true fact is that a writer's work lives on, especially in an author like Jane Austen. She passed away in 1817 but she lives on in her work and in her fans like this author who is preserving her memory. Jane was a Georgian era author, best known for her social commentary in her novels "Sense and Sensibility", "Pride and Prejudice" and "Emma". If I am correct - all three have been made into movies either for TV or the main screen. I think that it helped greatly that Jane Austen grew up in an environment that stressed learning and creative thinking and encouraged to read extensively. I like how this talented author, crafts his novel with Jane Austen spending her days writing and matchmaking until she goes to a ball that launches her into searching for her own romantic love. Scott D. Southard puts us into Jane's world and right in the middle of the action with this well-written and carefully crafted novel. I think he did a wonderful job with A JANE AUSTEN DAYDREAM, and I enjoyed reading his representation of Jane Austen. I particularly liked how he followed the outstanding period and best parts of her life. Jane was a very talented lady who died at much too young an age and whom I have admired for a long time. I hope you make time to read this novel. I believe you will enjoy it too. 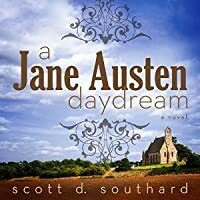 Scott Southard's A JANE AUSTEN DAYDREAM was a book I finished in a day. I couldn't stop reading. The author's premise was so intriguing, his realization so skillful, and the story and characters so delightful I didn't have a choice. It is important to read his brief preface and understand what the book will hold for you. There is a point where you have to be willing to join the author in what he is attempting to do, and if you are able to follow him, you are taken into a delightful daydream of a Scott Southard's A JANE AUSTEN DAYDREAM was a book I finished in a day. I couldn't stop reading. The author's premise was so intriguing, his realization so skillful, and the story and characters so delightful I didn't have a choice. It is important to read his brief preface and understand what the book will hold for you. There is a point where you have to be willing to join the author in what he is attempting to do, and if you are able to follow him, you are taken into a delightful daydream of a world. For me personally, as a new author after many decades of being a reader, when Southard gives voice to Jane's thoughts on writing he was speaking to my soul. I found myself in tears for most of the final chapters and couldn't see to read the Epilogue, but that's fine because this is a book I will read again ... and again. This book is a wonderful step into literature through a time-piece in which Jane Austin lived. Although it is fiction interwoven with pieces of facts from her books; it is easy to be swept into the dialogue, timing and rhythm, and forget that this is not one of her works! What an incredulous feat Mr. Southland performed in creating this beautiful piece of literature. There are many humorous parts to the story and a wonderful twist toward the end that add to the lovely charm throughout the book. I This book is a wonderful step into literature through a time-piece in which Jane Austin lived. Although it is fiction interwoven with pieces of facts from her books; it is easy to be swept into the dialogue, timing and rhythm, and forget that this is not one of her works! What an incredulous feat Mr. Southland performed in creating this beautiful piece of literature. I absolutely loved this novel. Weaving quotes from Jane Austen's novels into a story about Jane Austen. It seemed to have a bit of other classic British authors as well. I borrowed this on kindle from a friend. Then I decided I needed it myself. It's different, not just a variation of some of the other novels. Obviously it's not totally truthful to Austen's life but it does include her parents and a couple of her siblings. Great book - one of my favourite mashups of historical fiction..